The Aqua Bean Vending Machine has been our most popular office coffee machine for the past 2 years. The Aqua Bean, as the name suggests, is a bean to cup coffee vending machine which has two other canisters intended for the following : Hot Chocolate and Milk Powder. Want a one touch bean to cup machine for customers to offer the likes of lattes and mochacinos. Unfortunately no machine is perfect – we wish they were. Below we list the pros and cons of the Aqua Bean. Speed – The Aqua Bean is considerably quicker than its automatic bean to cup counterparts. 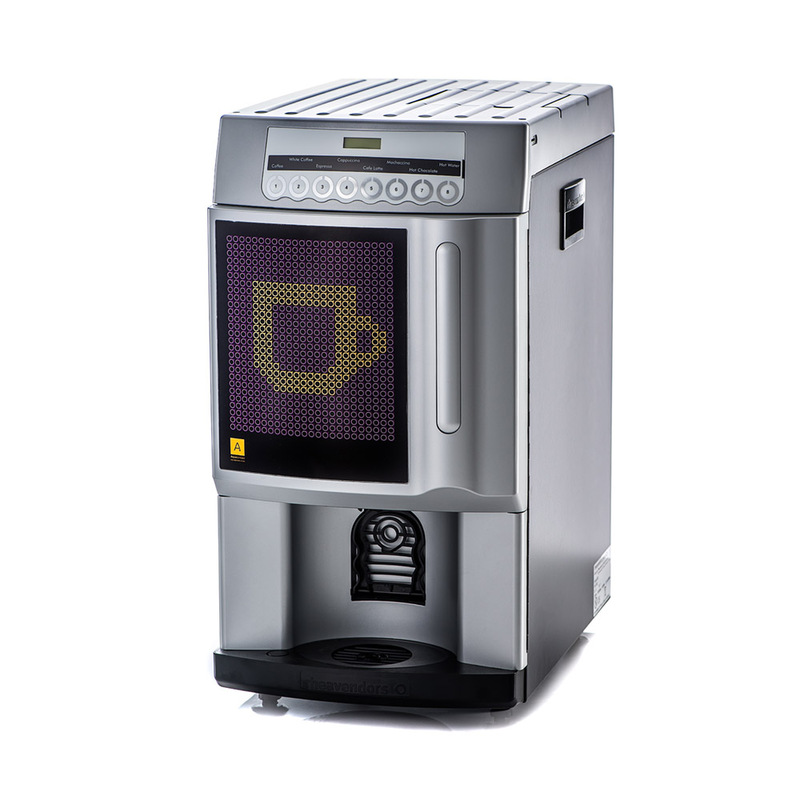 Any hot beverage is dispensed in under 20 seconds, compared to 1 minute for a cappuccino from an automatic machine. Water Tank Size – The Aqua Bean comes either with a 21.9 litre water tank or can be plumbed into the water mains. Large Capacity – The Aqua Bean is designed for large usage and has a storage capacity of 150 cups between fills. The Aqua Bean has the capacity for 120 cups per hour. Taste – Being a Bean-To-Cup machine means the quality of coffee dispensed from the Aqua Bean is as good as any other machine on the market. Bean Coffee – Whole bean coffee, ground on the spot, produces the best quality coffee; however, it is a more expensive solution than going instant. If your intention is to save money then the Aqua Bean is probably not the right machine for you. Not Fresh Milk and Not Full Cream Option – The Aqua Bean uses dehydrated milk which works out a lot cheaper than fresh milk but inherently has more lactose which makes it sweeter. The powder milk used is 100% fat free which makes it froth very well but might not meet the tastes of people used to only full cream milk.